Carrying Surfboards is nothing new for the SeaSucker Paddle Board Rack. 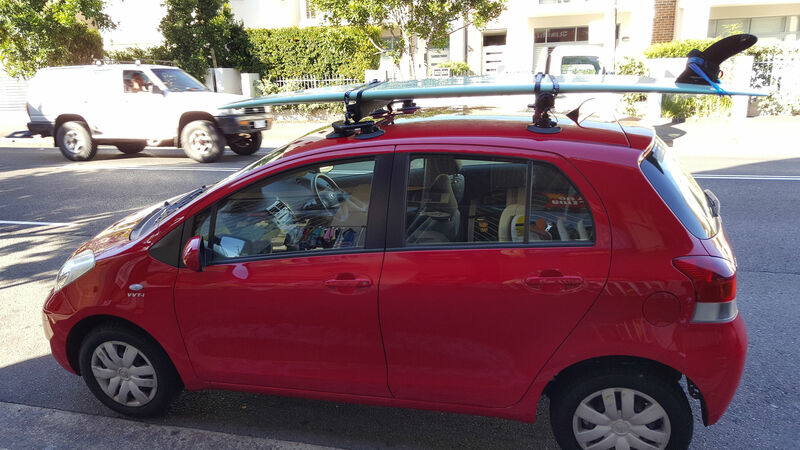 The challenge was could the SeaSucker Paddle Board Rack make an ideal Toyota Yaris Roof Rack? 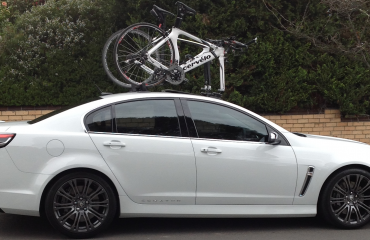 Thankfully this roof rack system has adjustable bars. It can vary its footprint from 61 cm to 112 cm allowing it to fit onto the roof of almost any car. Tae-Min is an avid Mini-Mal Surfboard enthusiast based in central Sydney. What is a Mini-Mal Surfboard? It’s also known as the Fun-board or Hybrid board and makes a great universal surfboard. It’s design is based on the Malibu Surfboard concept, it’s essentially a smaller version of a long-board. 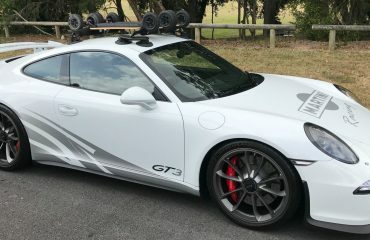 Tae-Min contacted us looking for a solution that could carry his surfboards on top of his VW Golf Scirocco R and his friends Toyota Yaris. We will cover Tae-Min’s VW Golf Scirocco R is a follow up post. After running through his requirements we were confident the SeaSucker Paddle Board Rack was up to the task. Several weeks after the initial purchase Tae-Min sent us these photos. 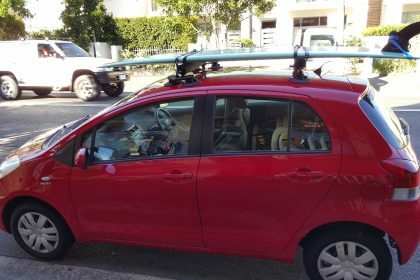 Despite the size of the Toyota Yaris Tae-Min could easily carry his Mini-Mal Surfboards ready to catch the next big wave. It just highlights the incredible versatility of the SeaSucker Paddle Board Rack. 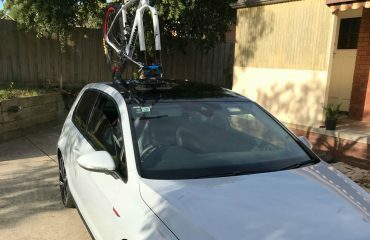 No bolt on racks, no changing roof racks when you change cars. It is the roof rack system for your car of today and your car of tomorrow. Our thanks go to Tae-Min for trusting us and for providing these photos. Buy the SeaSucker Paddle Board Rack through our online store.